Work for Cisco Catalyst Switches? Learning about Cisco Catalyst Switches? "My experience with Switch Cisco range Catalyst"
One of the things that I like this sw range is its easy configuration at the VLAN level and port mode assignment, this catalyst range offers giga speed ports, thanks to this it improves the sending of packages in each of its ports. It also offers the security part with the port-security protocol, which helps us to have greater security in our infra-structure. I do not like the sw of this range in several of the protocols of layer 2 are exclusive of cisco, and when we have an infrestrutura of direfente manufacturers is useless many of the commands. It would be very useful to standardize the protocols so that all manufacturers use it and get more out of this equipment. thanks to the sw catalyst my network works at gigabit speeds, I also have them configured in stack mode to use two sw as if they were one in my access layer, to have more access ports for end users. "Using catalyst cisco of the catalyst series." The handling of these devices is very practical, the catalys series in one of the most complete series of switches that are on the market, since it has many security features and very useful protocols developed by Cisco. Personally, it is the most complete team since at the configuration level, having the basic knowledge of Cisco networks, you can implement it in your internal network without any problem. One of the failures that I find to the catalyst series is the capacity of momoria that manages, the problems that occur are a little serious since it does not allow the access to manage the equipment and slowness in the process of the packages in the network. Thanks to the cisco catalyst switch I manage the packages in layer two. The spanningtree protocol is one of the ones I like the most at the distribution layer level, to avoid endless packet loops. the creation of VLANS, to segment the network are some of the functions that I use with the switches of the Catalyst series.
" My experience with cisco catalyst switches." Cisco's catalyst switches provide a wide range of protocols that help you improve the efficiency of your LAN network. In the security part it has the port security sticky function, which helps us to have a security control in your network. It also has redundancy protocols such as the spanning tree protocol, in addition to its VLAN creation functions, these devices provide a fairly complete functionality. Personally I feel more comfortable handling cisco equipment since I have 5 years of experience managing these equipment it has become quite easy to manipulate and manage them. The equipment of the catalyst series are very sensitive to temperature change. The lack of memory of the 2960-L series that gives me constant errors at the time of being administered. The constoso of the physical team to implement it. It has facilitated the administration of my network, under command implemented on the computer. By attaching security on my LAN network thanks to port security. I have segmented my network through the VLANs, each department I have separated by VLAN for a better organization in the network. I apply the switches of the catalyst series for the access layer of my network.
" cisco switches business solution"
catalyst switches are excellent switches that help a small or medium company in the solution of scalability, they are switches that adapt to the environment that each company has. It has very solid solutions, such as portsecurity, segmentation of networks (VLANS). This is one of the functions that I like most about switches because it is very easy to do and configure it, compared to other competitors. what disgusts me about this product are its high cost, because being one of the most recognized brands and used in the world of networks is put as first place and with a high price but for a good solution offering good features and services . I recommend this product completely if you require a small or medium business solution, it is adaptable and scalable, you must study the configurations very well since it is handled by terminal. We have used this product to be able to segment the network also scalability since we had a switch that had been left with few available ports and the growth of the network was considerable, it was decided to acquire a 48-port switch catalyst to be able to give supply the necessary requirements, apart from having a better administration. "Great products.. Phenomenal support. You get what you pay for!" The consistency across the Cisco IOS platform makes configuration, troubleshooting, and learning much more efficient and beneficial when moving between different models/series. Additionally, the Cisco support structure sets a golden standard for the industry (and really any support model). Inconsistency between some of the nomenclature for commands (e.g. port channel vs ether channel). Additionally, some of the configuration guides can be cryptic at times, and really takes a bit of trial and error (or consulting with the community). In short, Cisco equipment is generally more expensive than other gear out on the market, but ultimately you get what you pay for. 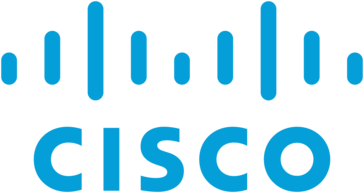 Absolutely do your due diligence and thoroughly compare products and vendors, but be sure to include Cisco as one of those vendors in your vetting process. Aside from generally great products (note: not always perfect), their support structure is fantastic, both on the break/fix support side as well as the hardware replacement side. Cases are easy to open, engineers are (typically) very knowledgeable, and not once do you feel left in the dark; if something is urgent and severe enough, they'll stay on the phone with you until completion. It's not always the right decision if the budget isn't there, but it's definitely worth it if you're looking for effective products, and truly exemplary support. Converged building networks. By leveraging various Cisco platforms, we've been able to bring together systems which have traditionally been isolated and run on their own networks and infrastructure. "Not the lowest price vendor, but you get what you pay for." Catalyst switches have many features built in, many of which go unused by most users. Those features are both layer 2 and 3. Have a Catalyst switch in place and have a new requirement? Chances are the switch may already support your new requirements. TAC provides great support to resolve existing issues or provide config guidance. Bugs and syntax changes. Software updates sometimes change command syntax and finding the updated documentation can sometimes put your search skills to the test. Do NOT use the software loaded on the chassis out of the box. Check cisco.com for the latest stable software for the platform. It is not unheard-of for a switch to come out of the box with software that has been deferred due to issues. Invest in SmartNet - this will pay for itself in the event a device has a hardware issue or there is a production issue to be investigated and resolved. Provide required connectivity and support of new technologies, often with no more than a software update. "Cisco Catalyst no debe faltar en tu empresa"
Los switches Cisco Catalyst son de lo mejor que hay en el mercado y por tanto lo mejor que puedes poner en tu empresa. Poseen una cantidad de opciones de configuración y se adaptan a cualquier tipo de necesidades. Tienes multitud de modelos para el tamaño de empresa, desde switches pequeños de pocas bocas a chasis grandes con muchas tarjetas y bocas. Cisco esta en continua actualización de las IOS de estos dispositivos y el soporte que tienen es inmejorable. También hay una gran comunidad detrás por lo que cuando surgen dudas es sencillo encontrar alguien que le he pasado lo mismo. Es complicado encontrar cosas negativas sobre estos switches, quizá por poner alguna pega sacan algunas IOS con algún bug pero tardan muy poco en solventarlo y en sacar otra que solucione el problema. En cuanto tienes un problema puedes llamar a CISCO y rápidamente te resuelven el problema. En mi empresa todo lo que tenemos es Cisco Catalyst, por rendimiento, seguridad y fiabilidad no hay otra cosa mejor. Además estamos integrando todos los switches con CISCO ISE lo que no da una potencia infinita para hacer cosas. También los switches que tenemos nos proporcionan POE con lo que alimentamos por cable RJ45 todos los teléfonos, evitándonos los transformadores de corriente en los puestos de usuario. Nothing, when I was some problem, I contact with Cisco TAC support group and they help me very fast, and it’s very estrange that device fails, always should be caused for external factors. "Gigabit Switches with enterprise management feature at a affordable price"
As long as you don't need very advanced features these switches are fine, setting up the APIC software was a bit cumbersome. Use the product guides to determine the correct model for your business. Easy to deploy and manage, fast gigabit speed, enough SFP+ options to connect to fibre and other media. All models we use have support PoE+ for Wireless Access Points and IP phones. The Catalyst 3850 Series switch has given us a flexible, reliable and secure access layer that is able to provide us the ability to be proactive and prepared for what the business units can throw at us. The Catalyst 3850 creates a lot more Sound than the previous series of switches. Luckily we have network closets that aren't close to office areas. You might have to invest in sound reducing rack enclosures if you plan to install them close to users. I you are thinking about 802.11ac V2 the Catalyst 3850 line has a model that has 10G ethernet ports on the last 12 ports of the switch to connect you AP's. The Cisco Catalyst 3850 is our current standard Access Layer switch. With it's implementation we are now moving into deploying VOIP across our Enterprise along with an Enterprise managed wireless solution. "Cisco Catalys nunca falta en tu empresa"
ciento restante procede de los gastos de costes operacionales, mantenimiento y soporte. costes operacionales durante la vida del producto. No me disgusta ningún aspecto, lo único que todos sabemos es que el precio de los equipos Cisco es un poco alto, con lo cual se hace difícil en ciertas situaciones la compra del mismo equipo. integridad y continuidad de su negocio). de la tecnología y aplicaciones, tales como VoIP y tecnología inalámbrica). Ninguno, se esta usando la configuración básica y funcionan perfectamente. "These Series Of Switches Give You Almost All Requirements Whatever You Need"
High availability; open to developments, upgrades and updates. I don't have any hesitation for these series of switches. If you have budget enough, you can purchase the product without pay attention too much for examination. Only be clear about your business needs and check features of these series. Probably it supports all your needs for many years. We solved product capabilities problems by using this product and will continue meet your needs a few years more. Also it helped us about creating internal/operational efficiencies and improving business process agility. The cisco cli is legendary for being easy to use and powerful. The ability to upgrade sups and not switches. I'm not sure, follow what your knowledge base is. if someone in your shop is not familiar with Cisco products there are a lot of resources at your disposal online to learn. Also with the upcoming DNA product. "Used for FTTH, to serve residential customers with fiber, internet, voip, IPTV with multicast"
With the new sup and the "organa" 80ports dualfiber linecard, it´s a super plattform for FTTH. not to big, and quite good scale on the customers it can support. the plattform is old. It should come out with a new chassis that can serve much more traffic. A new sup that can have several 10/40 and 100G interfaces. New 80 ports linecards that support 1/10Gbit on each port. It could also support 2.5 or 5Gbit if that gets standardized. FTTH to residential customers. Been using the plattform for almost 15 years. But it haven´t improved much over that time. Incredible stable and robust. Good performance for reasonable price. Good solution for spread environments where you can install device and forget about it. Dont need constant maintenance. With very few skilled engineers You can achieve reliable and stable network on L2. Less effort on servicing devices. The amount of features available on these switches is great. We are able to provide all the functionality that our end users need to keep the business going. These switches are also very reliable, and have yet to show any major issues. I would have a hard time finding things about these switches that we dislike. Maybe that they don't brew coffee for us? In all honesty, we have not run into any situation that has shown any negative light on this product. We are using these switches as our standard access layer, and it is solving the issue of providing the port capacity needed for access on a dependable platform. We have seen benefits when incorporating these switches into other platforms such as Cisco ISE. "I am a network administrator and these switch catalyst seem to me to be the most complete Switch "
I am a network administrator and these switch catalyst seem to me to be the most complete switch on the market, since it allows me to manage my network optimally and efficiently. "Cisco provides a great catalyst for success"
Catalyst switches just work. We only use Cisco catalyst switches because we can set and forget them until new needs require changes in their configuration. We have had some issues with fans going bad soon after deployment. Cisco replaced them immediately. All stores use catalyst switches for regular connectivity as well as switching between primary and secondary WAN connections. We also use VLANs to segregate our store networks into general and high Security networks. Lastly, we use them as edge switches for our corporate networks. "3560s mae great access and L3 switches"
Supports wide range of features like tacacs, firewall rules, dhcp server, routing both static and routing protocols, PoE or not. Makes excellent switches. If stacking with stack cables getting the correct server set to master can sometimes be troublesome. Great choice. But if unsure Cisco is often willing to provide demo equipment to test. "Reliable, yes. The very definition of reliability." They are extremely reliable, even in certain circumstances (Site/Datacenter remodelation), once finished with the starting configuration everything becomes easy using the GUI, and you can even keep a tag for each and every port. The end of life and support period is relatively short on the catalyst series, the GUI is extremely basic and feels forced. Consider your buy as something that will be helpful to your network infrastructure for years to come, with their exceptional performance and reliability. In our company the resources we have for infrastructure budget is not too big. The CISCO Catalyst series have helped us by keeping an exceptional performance after years of 24/7 usage. High throughput on these switches is great, all the best features from previous generation products. The quality of the c3850 is above par for cisco quality products i forsee these switches running for a long time with excellent support. It always comes down to something little and or petty, such as price. I dont have much room to complain though as the ROI for most cisco products, this one included is well worth it. Mainly having throughput availability for demanding power end users, making sure they are able to get what is needed when its needed without any bottlenecks. These switches do that and way more, an incredibly valuable product to have. IOS feature set, especially IOS-XE currently allows me to be flexible enough to accommodate business requirements quickly enough, with the adequate security levels. Currently, seems like Cisco is struggling to deliver the code base quality I was used to in IOS(-XE). Might be because they have to rush features out into the field before their competitors. Network availability - VSS, StackWise (and virtual), ISSU and dynamic routing get us as close as possible to a zer-downtime environment. "Basic switch with standard features at a reasonable price (at least in Cisco's world of products)." The switches provide the basic needs of an access layer device and are at a reasonable price. This would suite small offices well. There's not a lot to dislike. You get a basic set of features for a lower price than many of Cisco's other models. We use these for out of band management of our network and servers. We don't require high resilience or any advanced features for this. "3650’s are the most versatile switch you can buy"
This product is very nice because it is very mobile, you can have it on all the time. It might bug and there is a delay in the mobility mode. The best thing is mentioned above, it is mobile, I can get stuff while on the go and not have to be at one place. Making a MLAG is not possible with campus switches and of course is not cheap but name some excellent vendor that is free? it is an easy switch to configure and is very good for small offices as well as district and trailers. we have observed that the port die and no more POE has been an issue. it is a reliable switch and is stable. Work horses. Never have problems. Ease of use with CLI. The support team enjoys working with them and TAC support is always good. Price. I don't enjoy the cost but we've had them working for years. I wouldn't say that balances out because they are still expensive. Medium size business or higher. You can get these for small business but their are other options. These scale well in the large enterprise environment. Powering our VoIP network. Stable switch that we rely on compared to other vendors. "Is there a better switch?" Price...but you get what you pay for. No other company has the integration and feature set of the 9300 and to get that you have to pay for it. Stop looking and buy this switch! SD-Access and being able to globally deploy and enforce security policies. "Best switching products of all time"
Worth the price to pay for high quality networking equipment. Very energy efficiency! Is just pricey, but is a very great product. It is very worth the pay. It helps us run a better network of a faster Ethernet. The benefits of Cisco they provide very high security to business. I wish it would come with a shelf like the 6509's did. Makes it easier to install. Moving from a 6509 to a 4510 we gained and extra 48 ports plus the benefits of using EIGRP named mode and UPOE. El no poder intercambiar slost de sfp en la administración. En un ambiente 24/7 Lo que necesitas es galleta y los switches 2960 te lo dan. The GUI of wireless lan controller is not that user friendly and easy to use. Redundant pairs in an HSRP configuration is a powerful combination and almost bullet proof. If installing in an enterprise type location, I would recommend it if the budget allows it. We use these as core routers for main campus locations in redundant pairs leveraging HSRP to ensure reliability and almost 100% uptime for our enterprise type environment. "A lot of features "
I like the different options with/without PoE+, 1G or 10G uplinks, 8, 24 or 48 ports models and the stacking options. Very slow boot time. And slow firmware upgrades. We needed PoE on all ports and 10G uplinks. Ya no es totalmente compatible con las vulnerabilidades. Este es un producto realmente fácil de instalar y excelente que servirá funcionalidad básica mínima, especialmente en un entorno pequeño. I deploy these switches in wiring closets that may not always have dedicated HVAC. These units perform great and I have not experienced any overheating issues. Add in advanced port security features and these are a no-brainer at the cost point. So far I can't find anything that we don't like. Maybe adding more layer 3 capabilities, but that would put it at the next pricing level. Buy more ports than you need. "Best switches for the internal network." They are easy to configure, and have a lot of features that help to improve the network performance. The GUI interface is not so good, I rather use the CLI. Microsegmentation and Inter VLAN routing. "key component in our voip lan"
The 3850 switches provide great access layer connectivity for us. We are utilizing them with PoE at the access layer to power voip endpoints. They are a bit pricey compared to some alternatives but are great in converged implementations. We use them for the higher bandwidth throughput and PoE to power our voip endpoints. We get great reliability with the comfort that we have great support behind the brand if we need assistance with complex issues. Stable switch with very few bugs. Our switches currently have an up time of 2 years. Not much to dislike. High volume of traffic with few bugs or issues. If you need a switch that can scale to your requirements but don't want to spend the required amount for a Nexus, this is the switch for you. Needed a robust core for a decent cost. Using the 6880-X was a perfect solution for us. "Mostly solid product with a couple of problems"
Running into strange behavior of the switch when doing stuff that is not very common. The form factor of this unit. It's 1 RU with 32 - 10 Gig ports. Also, we like VSS And HA feature. I wish if we can increase the deep buffer capability on this platform. Then implementation of QOS will be much more efficient. Definitely use it because of it's form factor and 1 RU size. "stable switches since years and a standard for enterprises"
Different models. Modular approach. Mixed speeds. Ability to allow us to grow at our own pace. No 100 meg option for legacy systems. Would have liked to have more options on port density. It's a great L2/L3 switch for the Core of an enterprise environment. We had to replacing equipment almost 10 years old. Wanted to invest in a platform that could grow with our needs. Very reliable and stable switch, VSS feature make 2 physical become 1 virtual switch. Support all different line cards from 10gb fiber to 1 gb copper to FEX. Also support most recent SD Access. not really, if this switch can support 100GB and 40GB interface that will be more ideal. for a medium sized company, having 2 x 6800 VSS as core is very reliable solution. "Catalyst a long history of success and continuous innovation"
There are some interoperability issues but i think is normal due Cisco usually releases features after a long quality development check. Network Automation, Security Automation. I like the ability to enforce security across campus (Access Control, Isolation, Detection) not only on the perimeter with traditional network security products. * We monitor all Cisco Catalyst Switches reviews to prevent fraudulent reviews and keep review quality high. We do not post reviews by company employees or direct competitors. Validated reviews require the user to submit a screenshot of the product containing their user ID, in order to verify a user is an actual user of the product. Hi there! Are you looking to implement a solution like Cisco Catalyst Switches?